Horace Andy (born Horace Hinds on 19 February 1951) is a roots reggae songwriter and singer, known for his distinctive vocals and hit songs such as “Government Land” also “Angel” & “Five Man Army” with Trip hop trio Massive Attack. He is also famous for a cover version of “Ain’t No Sunshine”. Born in Kingston, Jamaica, Hinds recorded his first single in 1967 for producer Phil Pratt. “This is a Black Man’s Country” failed to make an impact, and it wouldn’t be until 1970 that he achieved a breakthrough. After unsuccessfully auditioning at Coxsone Dodd’s Studio One as a duo along with Frank Melody, he successfully auditioned on his own a few days later. Dodd decided Hinds should record as Horace Andy, partly to capitalize on the popularity of Bob Andy, and partly to avoid comparisons with his cousin, Justin Hinds, with whom his singing style at the time showed a resemblance. “Got To Be Sure”, the song he had auditioned with, became his first release for Studio One. The following two years saw the release of further singles such as “See a Man’s Face”, “Night Owl”, “Fever”, and “Mr. Bassie”. One of Andy’s most enduring songs, “Skylarking”, first appeared on Dodd’s Jamaica Today compilation album, but after proving a sound system success, it was released as a single, going on to top the Jamaican chart. The next few years saw Andy regularly in the reggae charts with further singles for Dodd such as “Something on My Mind”, “Love of a Woman”, “Just Say Who”, and “Every Tongue Shall Tell”, as well as singles for other producers such as “Lonely Woman” (for Derrick Harriott), “Girl I Love You” (Ernest and Joseph Hoo Kim), “Love You to Want Me” and “Delilah” (Gussie Clarke), and “Get Wise”, “Feel Good”, and “Money Money” for Phil Pratt. Andy had a second Jamaican number one single in 1973 with “Children of Israel”. Andy’s most successful association with a producer, however, was with Bunny Lee in the middle part of the 1970s. This era produced a series of singles now regarded as classics such as a re-recorded “Skylarking”, “Just Say Who”, “Don’t Try To Use Me”, “You Are My Angel”, “Zion Gate”, “I’ve Got to Get Away”, and a new version of “Something on My Mind”. 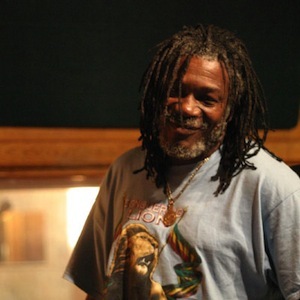 In 1977, Horace Andy moved to Hartford, Connecticut, with his first wife, Claudette, where he recorded for Everton DaSilva, including the In The Light album and its associated dub album, and singles such as “Do You Love My Music” and “Government Land”. Andy set up his own Rhythm label, which became an outlet for his work with DaSilva. The association with the producer was brought to an abrupt end when DaSilva was murdered in 1979. Andy’s 1978 album Pure Ranking had anticipated the rise of dancehall reggae, and he was a key figure in the early development of the genre, confirmed by 1982’s Dance Hall Style album. Andy continued to record with a variety of producers in the first half of the 1980s. In 1985, with his second wife Caroline, he relocated to Ladbroke Grove, London, and he recorded in the United Kingdom as well as regularly visiting Jamaica for further recording work. 1990 saw Andy’s profile further raised when he began collaborating with Bristol trip hop pioneers Massive Attack, going on to contribute to all five of their albums (the only artist to do so), most notably with “Angel” (a new version of “You are My Angel”) released on their third album, Mezzanine and most recently on their 2010 release Heligoland, on the tracks “Splitting the Atom” and “Girl I Love You”. In the mid-1990s he also worked with Mad Professor, releasing the albums Life Is For Living and Roots and Branches. He continues to record new music, with the Living in the Flood album released in 1999 on Massive Attack’s Melankolic record label, and Mek It Bun in 2002. He also featured on the world music project, 1 Giant Leap, and on the Easy Star All-Stars 2006 album, Radiodread. He is a Rastafarian. Some of his lyrics on the subject of homosexuality have been considered controversial. Horace Andy stated that Trojan Records only agreed to release his album On Tour after removing a track containing the lyrics, “The Father never make Adam and Steve, he make Adam and Eve”.